Brian Bouquet is CEO and President of The Event Agency - a leading tour marketing and event company, specialising in exhibitions and events, including Goldenvoice, AEG Live, Harlem Globetrotters, Titanic: The Artifact Exhibition, Star Trek The Exhibition, The Producers, Disney on Ice, Monster X-Games, Blue Man Group, USA Olympic Trials, BODIES The Exhibition, and many more. They have provided marketing services for events in 32 countries and 220 cities in the United States. On this week’s show, we’ll be focusing on Mr. Bouquet’s current exhibition, namely, Encounters: UFO Experience, which, at this time, is being housed in the Anaheim GardenWalk mall. 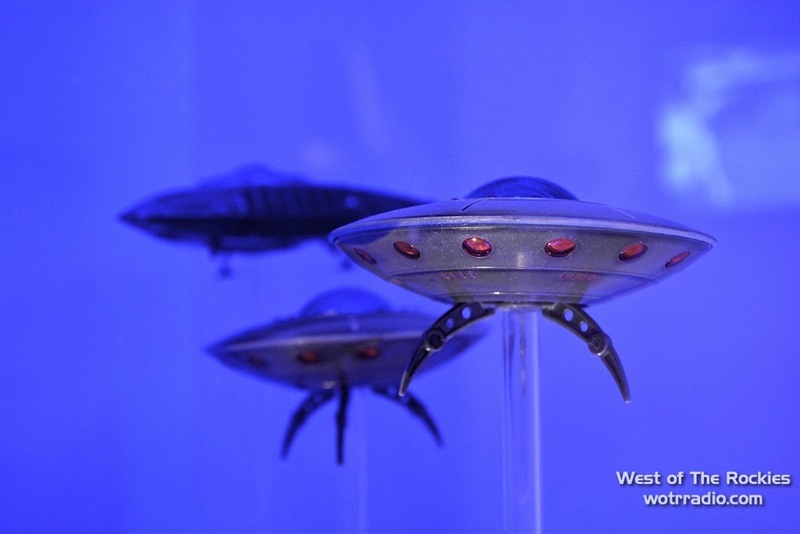 It prides itself in being the world's first comprehensive exhibition exploring reports of U.F.O.s, alien abductions, and encounters with extraterrestrials. The Travis Walton Abduction - one of the many cases featured in the, "Encounters: UFO Experience." Be sure to check out our interview with Travis Walton and Director of, "Travis: The True Story of Travis Walton," Jennifer Stein here. We discuss a range of topics surrounding the exhibition, including Brian’s initial inspirations; the struggles of creating a museum exhibit from scratch; as well as, of course, his top five UFO cases! A fictional alien race from the planet Vogsphere in The Hitchhiker's Guide to the Galaxy. Examples of extra-ordinary life already currently existent on Earth. Posted on February 26, 2016 by Genevieve Yu Wey and filed under SUM2.